The new VDO Sumlog gives boatbuilders the ability to provide six instrument readouts in a single helm footprint, says Jeffrey Ross, VDO instrumentation product manager. The Sumlog, which is NMEA 0183-compatible and requires a mounting area measuring 1.97 inches in diameter and 3.35 inches deep, is the latest addition to VDO’s Viewline Instrument Series. 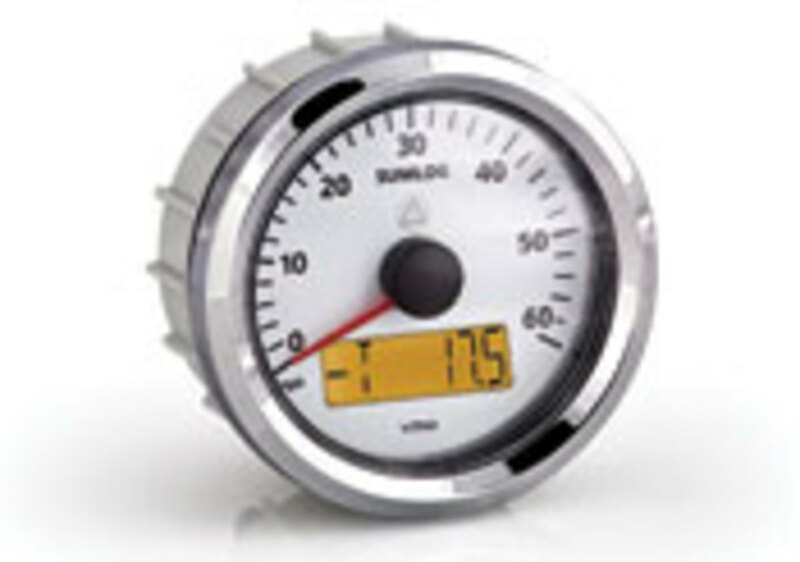 The heart of the VDO gauge is the 60-mph speedometer.